What Exactly Is Personal Injury Law? It may seem self-explanatory, but in reality, there is significant confusion as to what exactly constitutes personal injury law, as opposed to another type of legal cause of action. It can matter quite a bit, because sometimes courts will actually throw out a complaint if it is not submitted under the correct cause of action – such a mistake can telegraph to the court that someone is not even careful enough to make sure they have a case. It is imperative to ensure you understand what personal injury law actually is before trying to bring an action under this type of law. In most states, Florida included, ‘personal injury’ is a very wide term, serving as a sort of umbrella for many different causes of action that all share the same foundations. 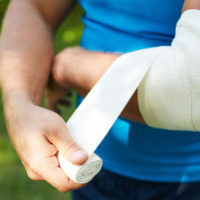 Any case that can be brought in personal injury will usually involve alleged negligence or misconduct (or in rare cases, both) that resulted in demonstrable harm to the plaintiff. The main aim of personal injury cases in general is to ensure that those who are wronged will have some type of remedy available, because very often, the standard remedies in a given situation may fail. For example, if someone is in an auto accident but has substandard insurance, they may be able to bring a personal injury suit against the other driver alleging negligence or malice. That the harm you suffered was directly traceable to defendant’s conduct, with no supervening events. Even if you are able to meet the showing for all the elements, there are still other issues you must keep in mind – namely, when you stop being able to recover, and how much you may be able to recover. The statute of limitations on most personal injury actions in Florida is four years, which means that you must file suit on any negligence based claim within four years of its occurrence. Memories grow faint after periods of years; after so long most cases would simply degenerate into a “he said, she said” battle, which benefits no one. In terms of the amount of recovery, it is also important to remember that Florida does follow a pure comparative negligence theory, meaning that any recovery you are awarded may be reduced by the percentage of fault that belongs to you. For example, if you are 10 percent at fault, but the fact finder (the judge or jury) finds the defendant liable, you will still receive monetary compensation, but lowered by 10 percent, so you are not rewarded for your own mistakes. If you have never been involved in a lawsuit before, it can be very overwhelming, and it can be even more so when you have been harmed because of someone else’s negligence or misconduct. Having a good attorney to help you can make the process much less intimidating. The skilled Orlando personal injury lawyers at the Hornsby Law Group are happy to try and help answer your questions. Contact us today to set up an initial appointment.